Oman is a seafaring nation that has engaged for 3,000 years in active intercultural exchange with nations around the Indian Ocean, reaching as far as China. In Oman, various faith communities have always existed side by side, demonstrating openness to others, mutual understanding, and peaceful coexistence. In about 2,000 BCE, the dealers from Magan, in what is now Oman, exported copper to the regions of the Sumer civilization and in the Indus Valley. In later periods, Omanis traded with Egyptians and Romans, exporting frankincense from the south of the country as their principal products. In the 19th century, the scope of Omani trade, mainly consisting of ivory and cloves, extended to the Zanzibar Archipelago in Africa. Today, the country's most important exports are petroleum and natural gas. Since the 1970s, under the leadership of Sultan Qaboos bin Said Al-Said, Oman has been pursuing social and political policies to develop and modernize the state without destroying Omani tradition. Islam arrived in Oman peacefully in the period of the Prophet Muhammad. In the year 629 CE, the kings of Oman, Abd and Jaifar, who were sons of Julanda, living in Sohar, received a letter from the Prophet himself, exhorting them to convert to Islam. The two kings freely decided to embrace Islam. The philosophy of Islam is founded on religious tolerance and the avoidance of conflict and violence. In Oman, the predominant denomination of Islam is Ibadhism, but Sunni and Shiite worship is also performed in mosques. The Ibadhis have always declared that they will not fight unless attacked and that for them it is shameful to shed blood due to theological differences. In Oman, Christians, Jews, Hindus, Sikhs, and members of other religious communities have lived peacefully for centuries, accepted into Omani society in accordance with the principle of religious tolerance. They have never been excluded due to their religious affiliation. Oman's state religion is Islam, and religious freedom is guaranteed under basic law, provided that public order is not disturbed and disputes do not erupt for religious reasons. Religious gatherings are permitted only in government-approved places of worship, but there is no ban on religious practices. 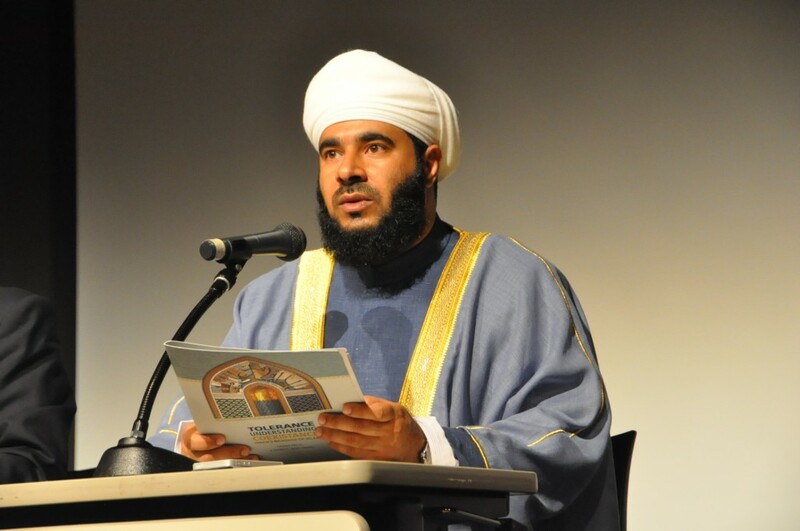 Following the lecture by Dr. Mohammad Al-Mamari, a film titled "Religious Tolerance in Oman" was projected. After the film, Prof. Kohara gave comments and talked on the theme: Although the Ibadhis in Oman constitute a minority on an international scale, their principles and culture of tolerance have a great deal to contribute to the contemporary world. They probably have some value common to Japan's culture of peace. Prof. Kohara also pointed out that an opportunity like this symposium enabled us to personally encounter and better understand others different from ourselves, thereby learning to avoid attaching simplistic labels to others and enriching our spirit of tolerance. A question and answer session ensued, after which the CISMOR and Omani sides exchanged commemorative gifts, and the event came to a conclusion while still maintaining a lively atmosphere. 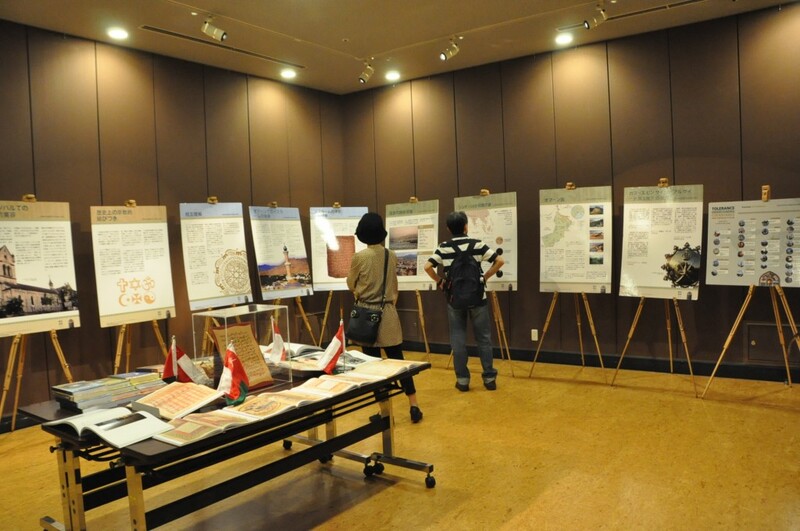 Information was also provided on the exhibition "Oman and Islam," held in the gallery next to the workshop venue. *Lecture in English and in Japanese.